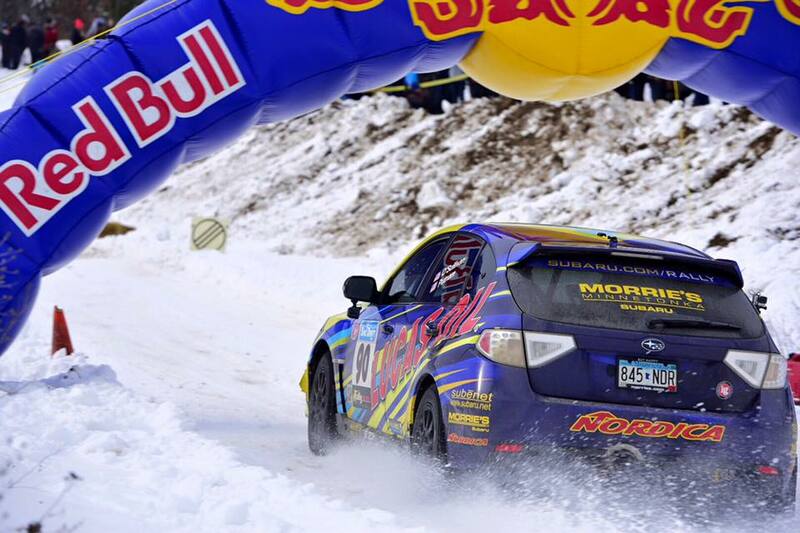 This Year’s Sno*Drift Rally had the closest finish that you’ll unfortunately never see. This is where my bitterness in the lack of media from Rally America hits a boiling point. Beyond the interviews on Rally America Radio, there has been little to no effort in detailing what happened out on the stages. It sadly feels like the organization just doesn’t really care anymore. Even their social media was lacking this weekend with a handful of tweets, and some pictures here and there on Facebook and absolutely nothing on their web site. It’s especially sad when the finish is this good and the drama from this event was something they really could have capitalized on. I’m not going to dwell on it too much, it is what it is and it likely won’t change anytime soon. Thankfully between Jim Beaver’s great Rally America Radio interviews in the service park and the social media output by teams, drivers, co-drivers, and their friends, the true drama of the weekend starts to become clear. A huge thanks to all those that post updates so we fans can follow along! The final day of Sno*Drift is the long one with 11 stages constituting almost 58 miles of competitive racing including the famed Bonfire Alley, and only a single mid-day service. Looking at the gaps at the end of Friday one may have thought that it would have been a routine day of just staying on the road and cruising to the finish, in the end it was anything but. (you can read our Day 1 recap here). At the top of the field Lauchlin O’Sullivan and Scott Putnam were driving brilliantly all weekend, making all the right tire choices and extending the gap to their closest rivals for the overall podium and in SP class, Troy Miller and Steven Harrell. O’Sullivan even noticed that Miller had a flat just before one of the morning stages was about to start. 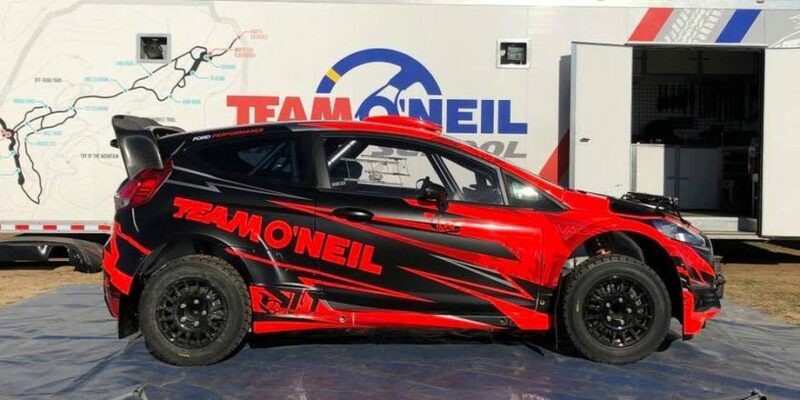 He jumped out and quickly assisted their rivals in getting it replaced just in time to check into the stage start, once again showing that the sportsmanship among rally competitors is second to none. Meanwhile behind Miller was Piotr Fetela and Dominik Jozwiak who were suffering from all the oil draining from one of their shocks and Brenton Kelly with Niall Burns were nursing a potential transmission issue in a battle for 3rd. Oh what can happen in just a few stages! Right after the mid-day service on SS13 O’Sullivan and Putnam got stuck in a snowbank, and again in an impressive return of favor in sportsmanship Miller/Harrell pulled over and attempted to pull them out as they felt their minute plus lead over 3rd was safe enough. Unfortunately the tow strap broke and they had to leave them behind. Although they moved into the lead Miller’s selfless act brought them to within 6 seconds of Fetela. From this point on it was going to be an all out battle to the finish. O’Sullivan was eventually yanked out, but lost minutes to the leaders and was out of the fight. At the end of SS14 Fetela made his intent on a win official with a 9 second lead after pulling out 15 seconds over Miller’s SP car. But then on SS15 Miller trimmed that lead by half. Now only 4.4 seconds separated the pair with two stages remaining. Fetela responded on the penultimate stage extending his advantage to almost 15 seconds with only the 4.91 mile Bonfire Alley night stage left. It was here that Miller put his foot to the floor and risked everything. To say it was close is a massive understatement. The times had to be reviewed as there was a timing error on the final stage to add to the drama, but in the end Piotr Fetela and Dominik Jozwiak finishing the stage in 5:30.0. Troy Miller and Steven Harrell finished faster at 5:16.0. The final gap? 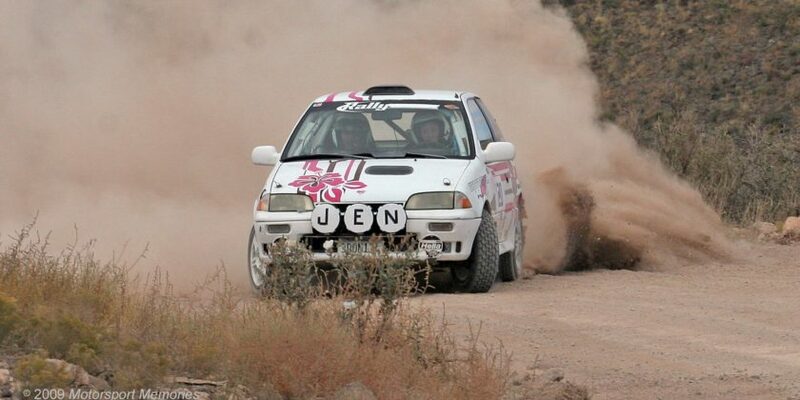 According to some sources it was the second closest in Rally America history. 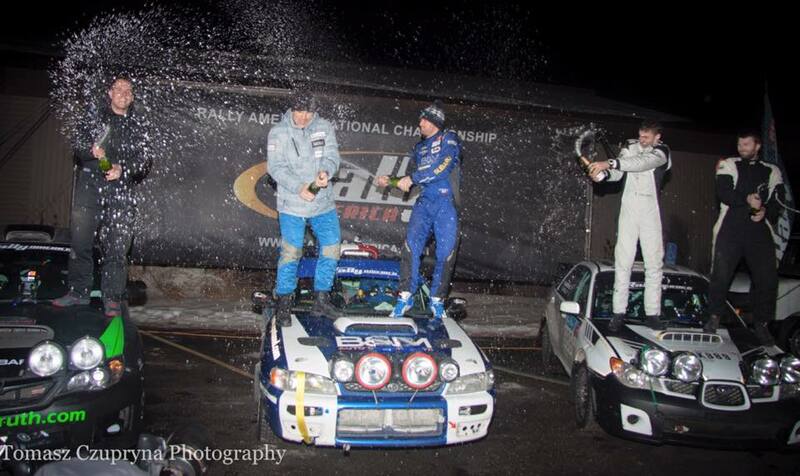 Piotr Fetela won the 2016 Sno*Drift Rally by 0.6 seconds in a 1998 Subaru Impreza STI after 2 days of racing over 100 miles on ice and snow. Interestingly, Piotr wasn’t intending to rally this car anymore as it was supposed to be replaced by a newly shipped from Europe VW Polo. The Polo build wasn’t quite complete yet, so Piotr entered his old car hoping that it would do well enough just to earn some points. It was a smart gamble. Troy Miller still won Super Production, which was bittersweet considering the goal was just to get familiar competing in the 4wd Subaru and despite missing a first ever overall win by such a small a margin. Co-driver Steve Harrell recorded an emotional live stream via periscope where his face told the tale. You can see in his eyes just how hard they tried and how much an overall win would have meant to them, yet both Troy and Steve said they would stop again to help out Lauchlin O’Sullivan. To quote Steve Harrell’s live stream “In retrospect it was a stupid, stupid, thing to do, but I’d do it again in a heartbeat because Lauchlin is the nicest guy and one of the best people in Rally America. No regrets there.” And probably my favorite quote was where he said “Six tenths. Six tenths gave us the story of a lifetime.” Well said Steve! We’ll be talking about the rest of the results in another article shortly, but we thought this story was worthy of standing on its own. Congratulations to Piotr Fetela and Dominik Jozwiak on the win, and to Troy Miller and Steve Harrell for the giving us an epic fight to the finish! Couldn’t agree more with the first part of the article! I knew of results from teams posting on Facebook and being lucky enough to be friends with a lot of folks. Their coverage is absolutely ridiculous. They’re relying on us as fans/participants to cover the event for them. Great recap. Rally America definitely failed on coverage but at least Sno*Drift organizers kept up with photos on their Instagram. 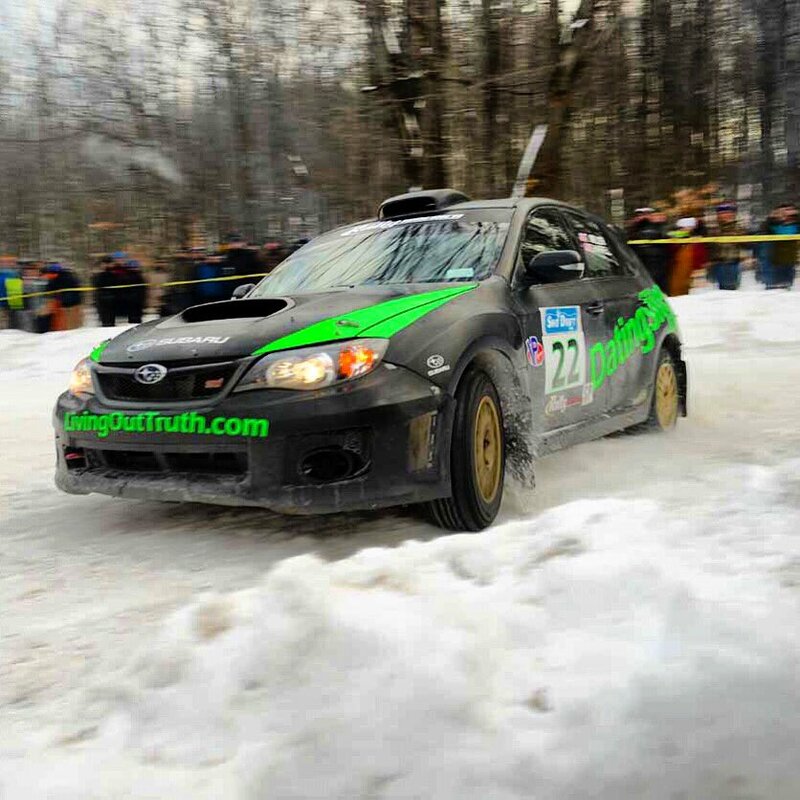 Lauchlin O’Sullivan was in first until stage 13 where they put the car into a snow bank. Henry and Cynthia Krolikowski attempted to pull them out, but the strap broke. Ultimately the car ended up getting pulled out by a bystander with an F150 while the race was going on. Very sketchy to watch. Video of crash can be found on my facebook. I noticed that Rally America hasn’t even logged in to their YouTube page for 7 months… Last year, I was watching videos from day 1 in hours… What happened? Thanks for some of the updates. I didn’t even have a clue the finish was that close, and I was there. As to the first couple of sentiments about media coverage… Unfortunately, the small fan base for rally in the USA, the highly litigious climate, difficult property rights issues, environmental pressures, etc. make it difficult to organize, implement and televise events. Very, very FEW “do rally” professionally in the US. Volunteer efforts are the backbone of everything. RA is facing some difficult struggles at the moment. Let us hope that better days lay ahead. It always helps to have a bit of perspective and a long term view. Best wishes to all from a 30 year fan, worker and rally organizer. David, I fully understand the struggles of trying to create a TV package around these events, but all it takes is one person at the service park with a laptop and a cell-based hotspot to write some daily summaries and issue updates via Facebook and Twitter. I’d also love to see more pre-event promotion, preview articles, and feature stories. There are some amazing personalities involved in rally, and there’s no reason why RA shouldn’t be highlighting those personalities and telling their stories between events. We come for the racing, we stay for the people. Unfortunately, Doug, RA is pushed to its limits right now, financially and staff-wise. I am not defending nor decrying, just stating facts for the moment. For the short term, the event teams will have to try to find folks to do their own promotion and reporting. It can be done, but it’s not always easy. Our 2 person (volunteer) media team for STPR are from opposite sides of the country, but do a yeoman’s effort to cover both our winter rally and summer offering. In our neck of the woods, there is no cell coverage for much of the rally (though improving), so our media team monitors the radio net to help get timely info. We have some plans for providing “live local coverage” at our spectator locations, but we cannot find volunteers to do the “play by play”. Our county amateur radio contingent is working to build some remote data capability (we’ll be working tomorrow, in fact), but we are still waiting on some grants to complete the system. But what about these new teams, drivers, etc. that are just getting started and want to get their volunteer media people out there to cover the event and RA either flat out denies them or doesnt respond to the request at all!?!? Thats where my problem lies…. There’s so many people that try to cover the event in some way shape or form and get denied access. Why are these new teams and drivers being denied to cover the event while big guys can get as many media passes as they want? It’s not right… It doesn’t hurt the sport.. it helps it. It helps these up and coming teams get exposure. Maintain sponsorhips. Secure new ones. Be able to afford to do more events. But RA continually denies these people the ability to do these things.